Is an 8k iMac Really a Good Idea? You are here: GeekSays Technology News » Apple » Is an 8k iMac Really a Good Idea? It wasn’t too long ago when Apple launched the 5k iMac. 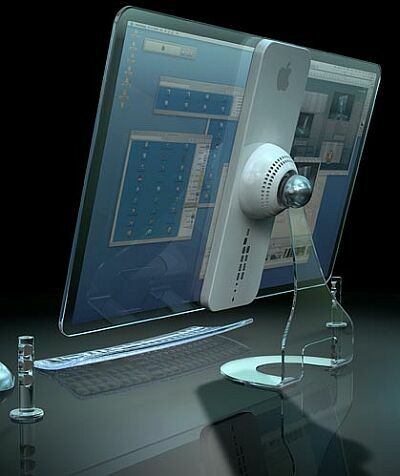 The move by Apple shocked a lot of people and brought iMacs to the eyes of many users. To be honest, the launch of the 5k iMac feels like yesterday. This is definitely not the case for Apple, because the company may soon launch an 8k iMac. The news that an 8k iMac may be around the corner came from LG. The company recently declared that it is producing a screen capable of displaying 8k resolution for the new iMac. Apple hasn’t officially announced this new iMac yet, but that doesn’t mean the rumour is wrong. LG is no stranger to accidentally releasing information that aren’t meant to be shared yet. The rumour also brings up a big question: is an 8k iMac really a good idea? Today, most consumers aren’t even using 4k as a native resolution yet. 4k displays are still relatively expensive, and there aren’t many content sources that support 4k natively just yet. Even 4k is 4 times the resolution of 1080p. The amount of details and vivid colours a 4k display can produce are unbelievably better than that of a Full HD display. 4k laptops are beginning to offer better viewing experience to users, with Panasonic releasing a 20-inch 4k tablet creating quite a wave. Mind you, the 20-inch tablet from Panasonic is $20,000. The computer world seems to be embracing 4k and higher video resolutions much sooner. VESA predicts that 8k will be the new standard by as soon as the end of this year. The 5k iMac is actually a superb device. Priced at a moderate $2,500 range, the 5k iMac has a hardware that can support 5k as its native display resolution. The result is nothing short of superb, with reviewers and users stating how pleasant it is to edit videos, photos and play multimedia files on the 5k iMac. A jump to 8k, however, requires double the processing power. In fact, it requires at least double the hardware specifications. A 9-minute 8k video is more than twice the size of a similar length video in 4k. You will have to have a bigger memory, because recording such video in 8k takes a whopping 8GB of disk space. Now, processing the 8GB footage requires even more power. To put it into perspective, the monstrous NVIDIA GTX Titan X can’t even run all games at 60 fps when a 4k display resolution is selected. Many believe that Apple’s intention to launch an 8k iMac is in sync with the company’s attempt to forge the future. The new MacBook seems to be paving the way. Will the 8k iMac be Apple’s next step? Based on everything that has been outlined so far, what do you personally think about a device with such a powerful screen? Chances are that the pricing will also increase, so is this really something that Apple should go ahead and do? The truth is that most people will not even be able to tell the difference, due to the quality being so high. What do you personally think? Please let us know your thoughts in the comments section below.